As our regular readers know, we frequently pose a series of questions to a winemaker to probe their winemaking philosophy and to gain insight into how they became who they are. After a long hiatus, this week, we are featuring Anthony Walkenhorst, the chief winemaker at Kim Crawford Wines. It is hard to name a more well-recognized New Zealand Sauvignon Blanc than Kim Crawford’s. But Kim Crawford’s history isn’t long. Founded in 1996, Kim Crawford quickly expanded, exporting its wines to the United States within just two years, and becoming the recognized brand within a decade. In addition to Sauvignon Blanc, Kim Crawford also produced Chardonnay, Pinot Gris, Pinot Noir, and Rose. It has just launched a reserve bottling of Sauvignon Blanc. 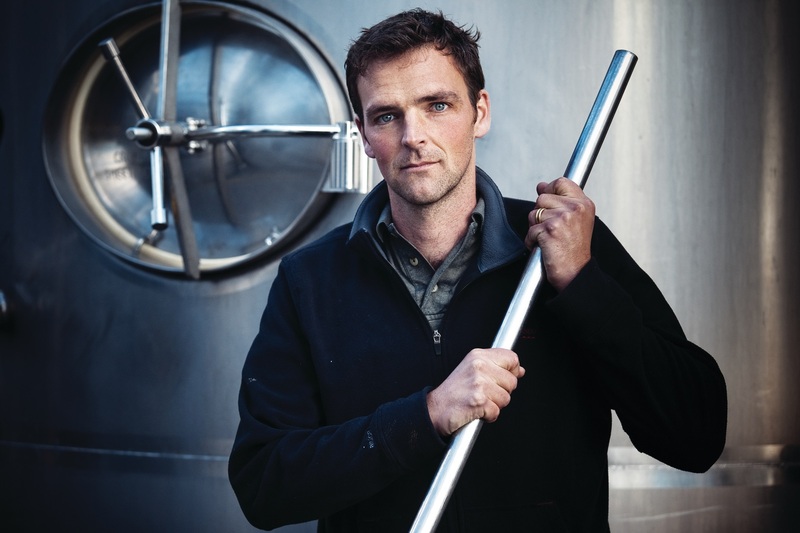 Anthony joined Kim Crawford as an assistant winemaker in 2005, after graduating with a degree in agricultural science from the University of Adelaide in Southern Australia, and working harvests around the world. Initially at Kim Crawford, Anthony worked alongside the founding winemaker Kim Crawford and focused his efforts on the reds. Then, in 2010, Anthony became the chief winemaker. I was born and raised in Melbourne, Australia – however, I’ve now lived in New Zealand for over a decade, starting and raising my family here, and it truly feels like home. When I was 16, I did some work experience at a small Pinot Noir winery in the Yarra Valley. The head winemaker was a Master of Wine and we did blind tastings during lunch every day, which really opened my eyes to the world of wine. From then on I was hooked! I grew up in Australia and became interested in winemaking early in life. This passion inspired me to earn a First-Class Honors Bachelor of Agricultural Science from the University of Adelaide, South Australia. From there, I had the opportunity to work harvests in the Barossa Valley, Napa Valley, and Ontario, Canada. I joined the Kim Crawford team in 2005 as an assistant winemaker primarily for red wines, working and learning alongside then winemakers Kim Crawford and Matt Large. They were true mentors during this time period, always pushing me and our winemaking team to try new things and strive for the ultimate quality. Now, I oversee every aspect of Kim Crawford winemaking across red and white varietals, and feel incredibly proud to continue the brand’s innovative spirit. Across our Kim Crawford offerings, vineyard sourcing is so important – from geography and climate to soil type and grape quality. Take our new luxury tier and Signature Reserve Sauvignon Blanc for example. Our Kim Crawford Core Sauvignon Blanc is sourced from Marlborough, so were instantly drawn back to this renowned winemaking region for the Signature Reserve. Grapes for the Signature Reserve 2017 vintage were selected from the Springfields and Steam Wharf vineyards, located in the lower Wairau. The influence of this valley’s coastal climate keeps the vineyards frost-free and helps fruit ripen slowly, while its fertile and rich soils produce healthy canopies that drive powerful flavors into the grapes. Unique to the Kim Crawford Signature Reserve, our team will continue to re-assess small lot sourcing each year and choose only the highest performing vineyards and grapes for each vintage. My winemaking philosophy is to take risks and think unconventionally throughout the winemaking process, with the goal of pushing the highest levels of consistency and quality. As I winemaker, I challenge myself to continue elevating and pushing the boundaries of what New Zealand winemaking is and what it can be. I’m thrilled at the popularity New Zealand wines have gained over the years around the world, and I’m excited to keep that momentum going so that our signature varietals stay fresh and innovative, while also remaining true to their New Zealand origins. I believe we’ve successfully done this with our new Kim Crawford Signature Reserve Sauvignon Blanc. It’s a difficult choice! One aspect I love about winemaking is that – no matter where you are in the world – it’s always changing, from regional styles that winemakers produce to the flavors and aromas of wine as it ages. As Kim Crawford’s winemaker, I’m always learning and am a big believer in not having favorites – always keep tasting and expanding your horizons. A vintage port from my birth year and a few bottles of a McLaren Vale Shiraz that was the first wine I ever made. Since it is harvest in Marlborough now, there is probably more beer than wine in the fridge! While wine – of course – is my daily passion, it’s hard to beat a cold craft beer. Luckily, my brother actually owns a craft brewery and there’s nothing quite as refreshing after a long day. The Marlborough Sounds are a short drive from the winery, but it feels like another world and is so relaxing. Three kids also help to keep my days off busy. I was also considering being a chef before I chose winemaking. I love creating flavors and experimenting in the kitchen. At Kim Crawford, I feel that our team has been successful when we’ve built on our strong foundations and extensive winemaking experience in New Zealand to create something truly innovative and unique. That’s why we’re so proud and excited to be launching our new luxury tier and Signature Reserve Sauvignon Blanc. We hope that Kim Crawford fans and wine drinkers around the world enjoy this extension of our current collection of New Zealand wines as much as we do!